TV wall mounts are increasingly getting more and more used nowadays. With so many TV sets on the market, TV wall mounts are getting more and more varied to match the market’s needs. Before, TV sets were either put inside a cabinet or shelf, or had their own table or stand. That was the age of the classic box TV sets, or cathode TV sets. However, two factors have contributed to this movement from shelves and cabinets to TV wall mounts. These two are safety concerns of unattached TV sets, and the emergence of the flat screen design. The move to TV wall mounts: Are TV Wall Mounts Universal? There is immense risk for TV sets that are just placed on shelves, cabinets or floors. In fact, a news article reported that at least 18,000 people were injured and 21 children died as a result of falling TV sets in 2011 alone. On average, one child dies every three weeks due to TV sets losing their balance and falling on top of them. Now, cathode TV sets and box type TV sets are slowly becoming phased out, and flat screens are the design that most TV sets go for. We have Smart TVs, LED, LCD and a whole lot more. Due to being flat, they may take up a lot of valuable floor space. The solution thought about was the production of TV wall mounts. Now, TV sets are no longer just seen in the private rooms of our homes; they can be seen mounted on the walls of restaurants, bars, and a lot of other commercial establishments. Being mounted gives a lot of benefits. Not only does a TV wall mount add mobility, it also makes the TV set look like a piece of art, making people think that they are watching a moving painting with sounds. However, a TV wall mount is not the panacea of all the ills of modern TV design. Due to the immense number of TV brands and the growing globalized markets, some TV sets have different sizes. This has led to some problems, especially with some TV models, due to being made overseas, being incompatible with the standards used in a different country. This is why there are VESA standards. If you are curious as to what you can read as VESA in the specifications of your TV wall mount, then you have come to the right place. VESA stands for the Video Electronics Standards Association, which is an organization that deals with standardizing specific technical measurements for displays, like those found in computer monitors and TV screens. VESA was established in California, around the month of July 1989. It has a large number of members, around 225 of them, like Sony and Samsung. For instance, they have set up a Monitor Control Command Set, which is what computers display when we want to see the visual parameters like brightness, contrast and even how it is displayed. As for the history of the VESA Mounting Interface Standard, this was introduced in 1997. At first, it only was used for TV sizes that weigh up to 17.5 pounds. As more and more products became available, it has expanded to include a range of weights. These weight range is from 4.4 pounds to 250 pounds. As for the specifics of the VESA standard, the mounts must have at least four holes for the screws for each square in the mount. There must also be holes that are tapped and must match with the sequence. When it started in 1997, the standards only had a 100 millimeters distance between the centers where the screws are to be drilled or inserted. The 100 millimeters distance are both for horizontal and vertical screw centers. An update was given for the smaller displays, with a 75 x 75 mm distance. In 2006, VESA was then extended to accommodate much larger flat screen TV sets that were introduced in the market. If you are confused, no need to fret. What is important is that the TV wall mount itself is pretty straightforward; these are just industry standards for the distance between screw centers. Standardization is immensely important. This standard is given to assure us, the market, of high and consistent levels of quality. 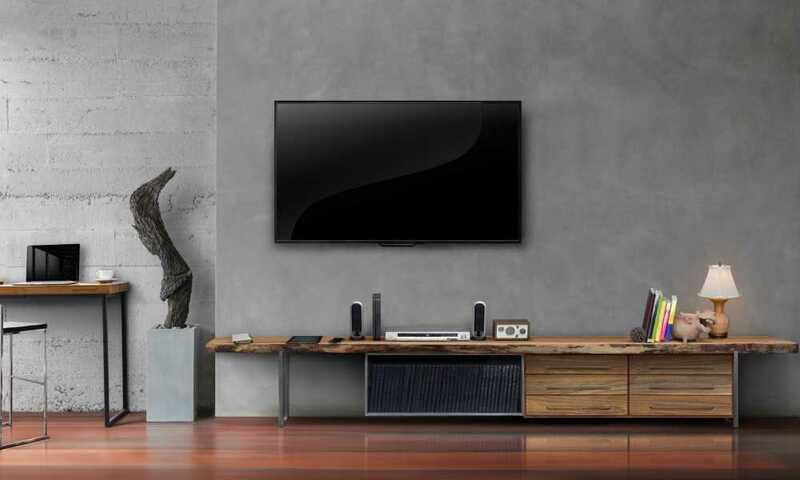 Virtually all of the large global manufacturers are members of VESA so TV sets and TV wall mounts should be consistent, especially for those sold online. What needs to be checked instead is whether or not your TV set and the TV wall mount are compatible. That general rule would certainly help in finding the best TV wall mount for you.